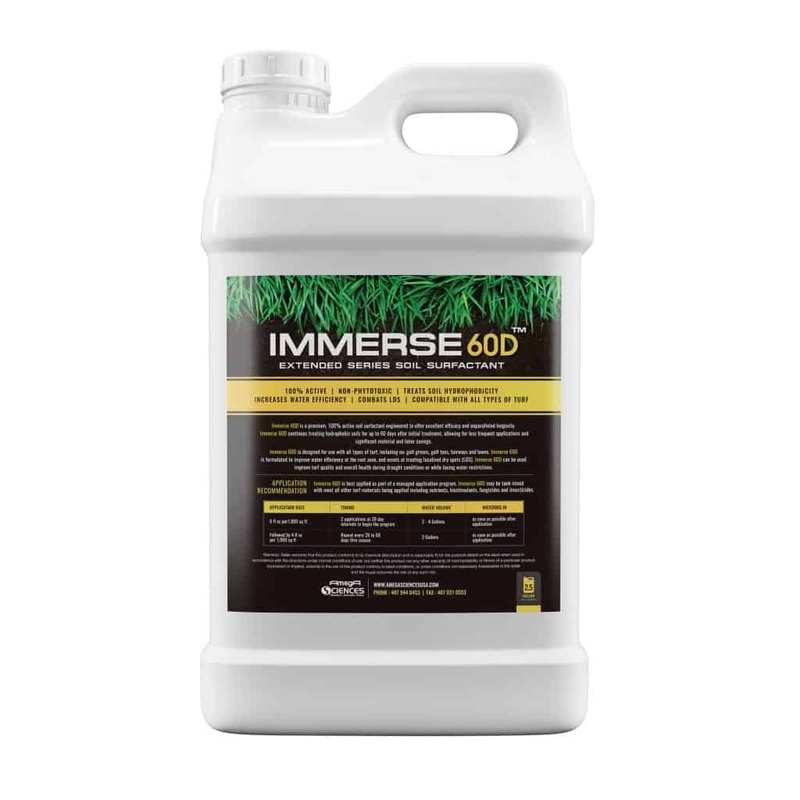 Immerse 60D is a premium, 100% active soil surfactant engineered to offer excellent efficacy and unparalleled longevity. Immerse 60D continues treating hydrophobic soils for up to 60 days after initial treatment, allowing for less frequent applications and significant material and labor savings. Immerse 60D is designed for use with all types of turf, including on: golf greens, golf tees, fairways and lawns. Immerse 60D is formulated to improve water efficiency at the root zone, and excels at treating localized dry spots (LDS). Immerse 60D can be used to improve turf quality and overall health during drought conditions or while facing water restrictions. Immerse 60D is best applied as part of a managed application program. 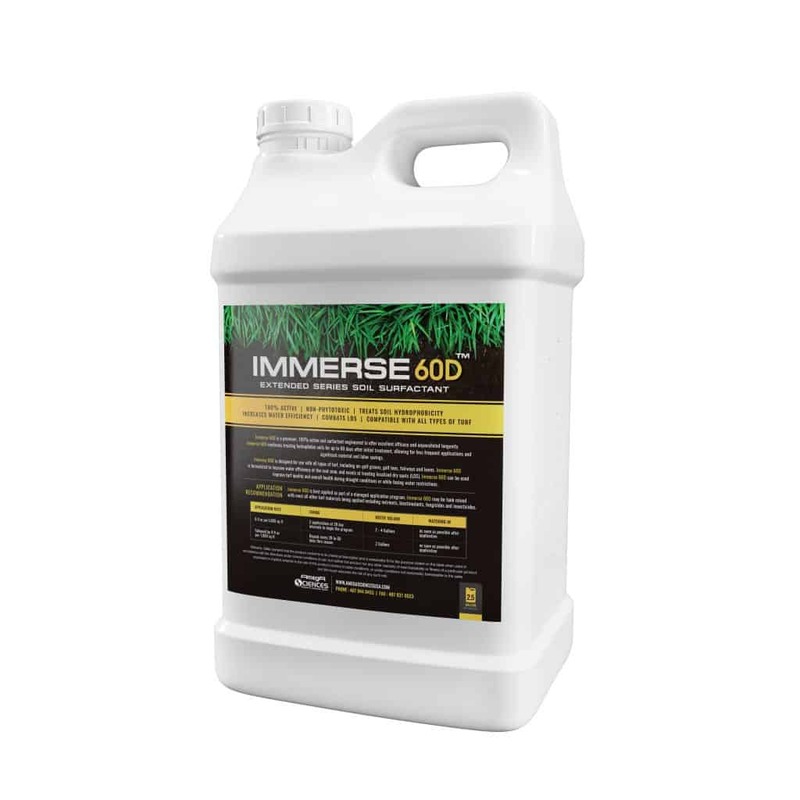 Immerse 60D may be tank mixed with most all other turf materials being applied including nutrients, biostimulants, fungicides and insecticides.